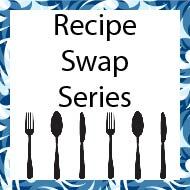 For this swap series each swap will address a different food, cooking/baking technique, or style of food/cooking. This series is for kitchen nerds who enjoy to experiment in the kitchen, try new things, and don’t mind if a recipe fails a time or two. So get out your pots, pans, trusty spoon, a kitchen scale (if you have it), and an open mind. Lets have some fun! This series is also a great way to start a cooking and/or baking journal. I use my baking journal as a way to track recipes I’ve tried, how the recipe turned out, what I’d try next time, and any substitutes or conversions I made. It’s a great tool for food nerds who love to spend time in the kitchen. This swap’s challenge is: Quick Bread! For this swap we will be exploring quick bread recipes. Quick breads are breads that are leavened without yeast or eggs (although some recipes do call for eggs in my experience). Baking soda, baking powder, and even beer have been used for leavening in quick breads. I love making lemon loaves to share with friends, scones as an occasional morning treat, and zucchini bread when they are cheap at the farmer’s market. They are wonderfully diverse, reliable, and delicious! For this challenge find a recipe for a quick bread, make it, document it, and share it as outlined in the swap details below. For this specific swap I challenge you to find a recipe for a quick bread you’ve never made before. For example, if you have made banana bread before, try out a griddle bread or soda bread! The goal of this series is to expand your knowledge in the kitchen and try something new! Send your partner the recipe you tried, typed out and include at least 3-4 pictures of your process making the recipe. You can send more if you so please. Make sure you include the recipe author and book/blog/website you got the recipe from if applicable. For example: Would you make this recipe again? What did you enjoy about this recipe? What did you not like about this recipe? Any tips/tricks? Etc. This is a senders choice swap. You do not have to make this recipe if you don’t want to when you receive it if it conflicts with your personal dietary restrictions, however you must rate a 5 if all of the swap requirements are met. You must have a rating of 4.980 or higher and I will ban swappers at my own discretion to keep this swap safe. You must electronically send your partners the following: Typed copy of the recipe with recipe URL (if applicable), picture of your finished recipe & at least 3-4 "process" photos, and at least 2 paragraphs of notes about the recipe as laid out in the swap details above. You are of course welcome to write and photograph more! You can send this swap as either an email or attach a file such as a PDF or un-editable word document. Make sure you credit the recipe author and cookbook/blog/website you got the recipe from! Communication: If you are going to be late on sending please notify your partner as soon as possible and keep me in the loop as needed. I will angel this swap if necessary after you have rated your partner a 1. Want a “type 3” version of this swap? Let me know! If there is enough interest I will host a type 3 version. Have any questions? Send me a pm via the SB messaging system or drop a question into the comments box below!